Kristin Brawn is the assistant vice president of marketing and community relations at Walden Behavioral Care. She is responsible for developing and executing proactive community relations strategies that raise awareness of the programs and services that Walden offers. To achieve this, Ms. Brawn works closely with Walden staff including executives, program directors and marketing and community relations associates to promote programs, events and new initiatives. She also maintains close relationships with crisis centers, mental health providers, dietitians and doctors in New England and leverages regional and national partnerships with key eating disorder organizations. Prior to joining Walden, Ms. Brawn spent a decade working for the nonprofit Multi-service Eating Disorders Association (MEDA) in Newton, Mass. She began her career at MEDA as an office coordinator, but was quickly promoted to roles of increasing responsibility including director of project management, chief operating officer and executive director. As executive director, she worked closely with the board of directors to manage finances and raise funds to help elevate the organization. She was also responsible for coordinating MEDA’s national conference which included selecting speakers, overseeing conference advertising and marketing and coordinating volunteers. Ms. Brawn earned her bachelor’s from the College of the Holy Cross and her master’s from Boston University School of Public Health. 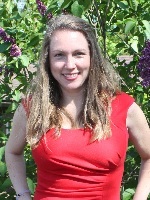 Rebekah Bardwell Doweyko is the Assistant Vice President of Clinical Operations for Walden Behavioral Care’s Connecticut region. In this role, she is responsible for program development and clinical, administrative and fiscal oversight of ambulatory clinics in Amherst, Mass., South Windsor, Conn. and Guilford, Conn., as well as clinical oversight of Connecticut’s first inpatient unit for eating disorders in Vernon, Conn. While at Walden, Rebekah has developed and implemented various specialized treatment tracks to further aid individuals on their journey to recovery. This includes a survivor track for those who experienced trauma, a substance abuse track and most recently a bariatric track designed for patients who are pre-or post-bariatric surgery. Prior to joining Walden, she was an Intensive Care Manager at the Connecticut Behavioral Health Partnership (Value Options, Inc.) in Rocky Hill, Conn., where she conducted clinical trainings and managed CT Medicaid cases with complex eating disorder issues. Rebekah also founded and directed the Intuitive Eating Program (IOP) at Hollywood Pavilion Hospital in Hollywood, Fla., where she developed the “Real-Life Excursion” program allowing patients to begin their transition from Residential treatment, and held various clinical positions at The Renfrew Center in Coconut Creek, Fla. She composed the foreword to the highly acclaimed “Maintaining Recovery from Eating Disorders” self-help book by Naomi Feigenbaum and was featured in the Emmy Nominated HBO Documentary “THIN.” Rebekah earned her Master’s degree in Mental Health Counseling from Florida Atlantic University in Boca Raton, FL, is a Licensed Professional Counselor in the State of Connecticut and is a Certified Eating Disorder Specialist. Lucille Force is responsible for providing 24-hour accountability for the professional practice, administrative and clinical operations of Walden’s psychiatric and eating disorder units and its residential program. Ms. Force has more than 20 years of nursing leadership experience, most recently as chief nurse executive at Universal Health Services – Arbour Health Systems in Boston. Before that, she was an associate chief nursing officer with Health Alliance Hospital in Leominster. 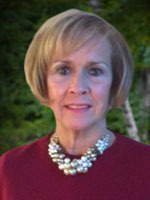 Ms. Force also served as director of Women & Children’s Health at St. Luke’s Hospital in New Bedford, and as nurse manager at Women and Infants Hospital in Providence, R.I. She is currently an adjunct nursing professor at Bristol Community College, where she provides clinical instruction for nursing students in psychiatric nursing. Elizabeth Woodhouse is assistant vice president of human resources and talent at Walden Behavioral Care. In this role she is responsible for the overall strategy and function of human resources and talent / acquisition / management. This includes overseeing all aspects of the employee lifecycle such as recruiting, rewards and recognition, career development / advancement and benefits. Ms. Woodhouse has more than 20 years in human resources and talent. Before joining Walden, she was the senior vice president of talent at Boston-based, Mercury Media. There, she worked with the executive team to drive growth through programs tied to business objectives, created learning and development frameworks that ensured appropriate employee advancement and initiated the overhaul of employee policies. Prior to that, Ms. Woodhouse served as the vice president of human resources at MSLGROUP – a public relations and communications agency. Ms. Woodhouse received her undergraduate degree from SUNY Oneonta and earned her master’s in science degree in Human Resources Management from Emmanuel College. Most recently, she earned a certificate in Human Resources Management from Bentley College.